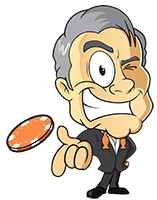 Fruity Casa Casino Review 2019 and Rating with Casino Veteran’s. Some say he can make a deck of cards shuffle themselves, others that he will only eat off of plates that look like chips. He is the Casino Veteran and he thought it was high time that he checked out what Fruity Casa Casino had to offer. 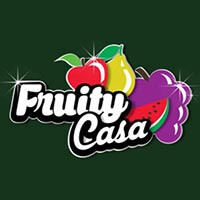 Fruity Casa is a brand managed by the well-respected White Hat Gaming, based in Malta and regulated by both the Maltese Gambling Authority and the UK Gambling Commission. 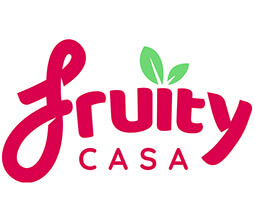 The Fruity Casa brand is committed to transparency and encourages responsible gambling. Links to theFruity Casa casino terms and conditions as well as other vital information can be accessed in the footer of the home page. Like the vast majority of online casinos, Fruity Casa tends to focus on slots, but the table games they provide are high quality. They work with industry-leading gaming providers such as NetEnt Microgaming, Amaya and Blueprint Gaming, and their table and card games include exciting live dealer options. TheFruity Casa casino allows players to fund their accounts in various ways, including credit and debit cards, GiroPay, Skrill, paysafecard, UKash and NETELLER. There is a minimum withdrawal of £30, and withdrawals are generally processed within 72 hours. The Casino Veteran found Fruity Casa to have a nice range of games, an easy-to-navigate website and a fun, colourful website design. Customer support is available via live chat, 24 hours a day. This Fruity Casa site is designed to work well on any mobile device. There is no need to download an app as the mobile version of the site is available by browser from any mobile device. You can create your account from your mobile device or login to the site from your device if you have registered an account via your desktop. There are fewer games available via mobile, but you will find a lot of your favourites there, and what is available works well on most devices, especially later models, for both iOS and Android. Fruity Casa online casino is currently offering a welcome bonus to all new customers. You will receive a 100% matched welcome bonus of up to £100, payable on your first deposit only, along with 20 free spins on Fruit Shop. There are also bonuses available for regular players. These are often seasonal and subject to change. Right now, there is a bonus for existing players who reload their account with a minimum deposit of £20 on a Monday. There is also a Fruity Casa loyalty programme for regular players, allowing them to receive an extra £5 bonus for every 1,000 points earned. AllFruity Casa bonuses are subject to conditions, so always check the current promotional terms and conditions, linked from the footer of the home page on the website. There is something to suit almost any online gambler at Fruity Casa, and their catalogue of games is constantly growing. The Casino Veteran decided to visit the Fruity Casa casino for an evening, and he found plenty of entertainment awaiting him. He quickly made a new account and claimed his matched deposit bonus and the free spins that came with it. He had a browse through the available games and was happy to find all his favourite slots as well as several of the live dealer games he loves. He indulged in some live blackjack and then moved on to slots. Just for fun, he stuck with the fruity theme, playing a little Fruit Warp, Fruit Shop and Fruit vs Candy. The Casino Veteran likes to play big, but he noted that there was a low minimum deposit, which is something that makes Fruity Casa casino appealing to a wide range of online gamblers. The Casino Veteran particularly liked the fun feel of the site and the user-friendly layout.